This weekend is the arrival of Spring – or at least it’s on the calendar as being the start of Spring because of the Equinox. (Yep I went to read what qualifies the start of Spring – it’s certainly not the weather that’s for sure!). Each year I make the intention to do what needs to be done round the house. The last few years I’ve always struggled around work, then last year I struggled with not being as mobile because by this point I was around six months pregnant. This year it’s going to happen, starting with the household audit mentioned in the post yesterday. This started as a Spring Clean post then I realised that actually a lot of the things on the list were more of a clean out sort of path. I hope they are handy either way! Now you’ve written a list of jobs to do round your flat/house, check your cleaning materials – do you need anything like bin bags, recycling bags, dusters, cleaning products etc? Firstly make the bed. Secondly get all the clothes out the wardrobe. Work your way through the pile by clearing out the clothes that are too small/too big or you no longer wear it. Bag them up for the charity shop or a hand-me-down pile as you go (rather than forming a pile then bagging it!). When you put the clothes back in the wardrobe hang them up the wrong way round so that the hanger points towards you, when you put the item away after washing put it in the right way round. That way the next time you clear out your wardrobe you can clear out the items that still have the hanger the wrong way round. I’m the worst for holding onto DVDs and books that I no longer read or watch. I recently had a big clear out of my DVDs and got rid of something like 30 films. I’ve still got a chunk to go. Try a service like Music Magpie if you’re getting rid of DVDs or Games. MM in particular has a mobile phone app so you can scan the barcodes, they also have their own courier who will collect your package of DVDs so you don’t have to attempt to get it to the post office. Books wise, some libraries will take donations if they are in good condition, if they don’t take them try local charity shops as they often have book sections. Some charities like Oxfam actually have their own bookshops. Before you reach for the glass/mirror spray, open the windows and sweep out any bugs, dust or other debris, that way those bits won’t clog up your cloth. Try to clean the windows on a cloudy day, if there is direct sunlight on the window then you might find the cleaner dries too quickly and leaves streaky marks. If you can reach both sides of the windows (for example ground floor level windows) when you clean the inside wipe horizontal, then do the outside and wipe vertically. That way it makes it easier to see the streaks and the bits you need to wipe again. This only recently occurred to me which is really silly. Start from the top and work down. Get the feather duster out and clean the top corners for cobwebs etc. Then dust the surfaces (Working high to low). Then last of all vacuum or sweep the floor, that way you don’t end up having to do the job twice. If like us you have units on legs in the kitchen, use the broom to get right to the back under the cupboards, we sometimes find stray bits of carrot or pasta under the units. Some dishwashers come with an actual function that will clean the dishwasher itself but if like ours it doesn’t have one you can do the following. Start by removing all the dishes, cutlery etc from the dishwasher – it needs to be empty. Take out the filter and tray from the bottom, fill the sink with hot soapy water and put the filter and tray into the sink (We’ll come back to that in a sec). Make sure that there is no debris left in the bottom of the dishwasher or in the cutlery tray. We get a bottle of dishwasher cleaner from the supermarket, it’s the own brand and costs like £2 a bottle. Follow the instructions on the bottle and place it in the dishwasher. Now go to the sink and clean the filter and tray, this catches all the odd bits of food or jar labels so make sure all the holes are clear – it’ll run more efficiently then. Once clean put them back in place. Set the dishwasher to the hottest setting (Ours is 80 or 90) and leave it to run. It’ll depend on your machine to how long it takes, and the manufacturer make recommend different so it’s worth just checking your manual before running it if it isn’t something you’ve done before. Once it’s ran you can load up the next run of dishes and get on with those. Time to clear out those stray bits that have started to grow legs and whistle the theme from The Great Escape. Some items like vegetables can go to the compost heap rather than being binned. Things that have been cooked like leftovers can’t be composted so will need to go in the bin. Work on clearing out all the items that are no longer useable. In some cases just because the best before has past the item might still be usable. (Check out this article). So the bits that really can’t be used clear out. Stack the remainder on the work top and set about taking the actual shelves out of the fridge. Grab a cloth and your usual cleaning spray – like the room start from top to bottom. If you find that fridge smells. Grab a pot (think yoghurt pot size) and put in some bicarb of soda, then put it in at the back of the fridge. The bicarb will absorb the smells from the air and you should find it will smell better within a few hours. It varies across the country depending on your local council but ours takes various items in the orange recycling bins at the same time as our black bin for general waste. It’s always worth checking what they will take as you can load your bin up with those items. Our local council however don’t take glass, so this has to go to the bottle bank. While we are using lots of jars of baby food, we are having to make extra trips to the bottle bank or the recycling centre to deal with these. However the most recently two loads were despatched to other people, one to refill the jars with jam and the other to decorate them a la Pinterest for their son’s Christening decorations. The ones that I do need to take to the recycling centre, I run through the dishwasher so that even if they are stored for a couple of weeks before the next trip they don’t smell. Also it means that if they are being reused they don’t need to be washed first. When you’re loading up your recycling bin, be sure to flatten big items like cardboard boxes as they will fit in the bin better and you’ll be able to fit more in. If you’ve got plastic milk bottles, run warm water into the bottle then empty it, while the bottle is still warm you should find that you can squash the bottle. This is the same with big fizzy drinks bottles, if you release the cap so it’s still screwed on but the air can escape you can then crush the bottle. I try to work my way round in some kind of order – usually starting next to the microwave in the kitchen and working back to the sink. I also have the broom to hand so that I can sweep up the debris into a pile as I go (Again working top to bottom is quite handy). For a deep clean, I wipe down the fronts of the cupboards at head level then I move all the items on the work top onto the kitchen table then wipe down the worktops starting at the back nearest the wall and working towards the front. I then wipe down the units. at waist leg height. Then I sweep all the crumbs etc from the floor and sweep that into the bin. I use the Multi Purpose Cleaner on the top of the hob (we have an electric hob) then use the glass cleaner if needed. Our oven has removable dials so I take them off to get rid of the crumbs etc from around the dials. If I’m cleaning the inside of the oven too I tend to do this first so that I can work round the rest of the kitchen while the cleaner does its job in the oven. I recently discovered that you can remove the oven door completely which is handy for getting out the burnt bits of food from the bottom of the oven. These are just a selection because I imagine with some deep thinking I could add a whole bunch more tips but this is it for now. Do you have any handy tips? Maybe you have a method not mentioned above but works well for you. Please share in the comments. This is super helpful, Hannah! I need all the help I can get to get my Spring cleaning done. It seems like somehow, between Summer through Winter – our house transforms into a total disaster zone. I love the feeling of it being clean and organized in the Spring though! Oh I can agree with that – I think the same is with our garden. Once it’s too cold to be out there, it all sort of grounds to a halt and we retreat inside. So many great tips! I have been working on the wardrobe mostly so far, but I will need to get to some of these other areas soon too! 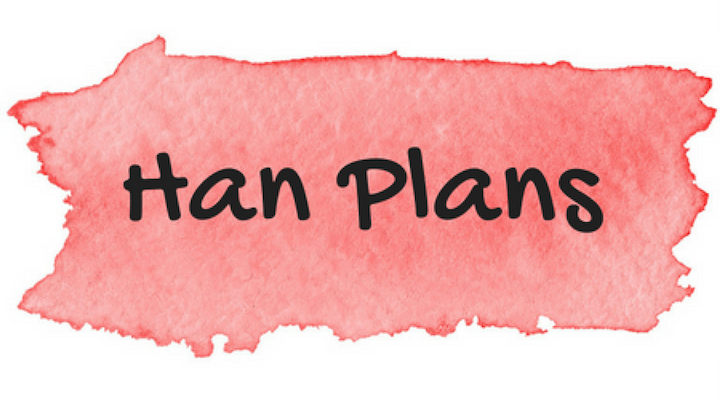 We’ve got a slightly crazy master plan to be getting on with once we’ve finished the kitchen. I’m determined to get the house back to some kind of order rather than the craziness there seems to be at the moment. Great tips! I’m going to start Spring cleaning this weekend. I can’t wait to declutter and reorganize. 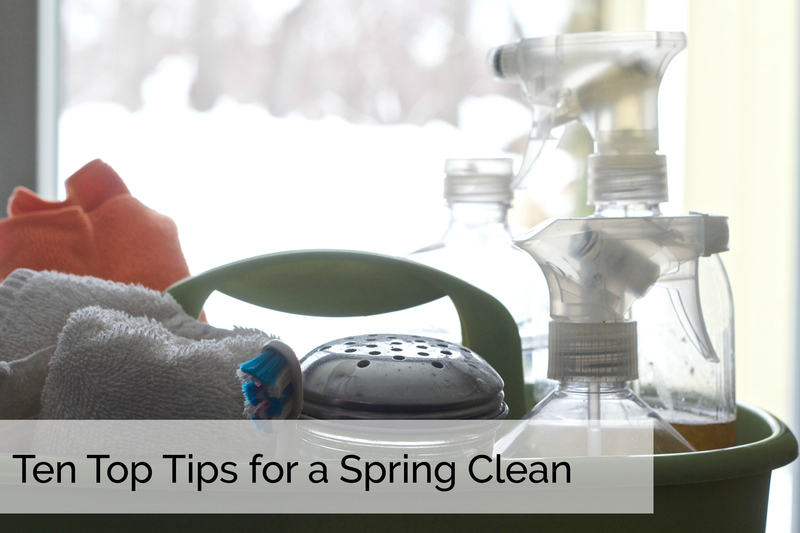 This is an awesome spring cleaning guide! Thumbs up! Really good tips!